Taking a look back at another week of news and headlines from Cupertino, this week’s Apple Loop includes the new iPhone 11 design. a bigger battery for the iPhone, the return of the iPhone SE, secrets inside the new iPads, more MacBook keyboard problems, and why AirPods 2 biggest rival is another Apple product. …Apple’s design mimics Huawei’s 2018 Mate 20 Pro but without the symmetry and both Huawei and Samsung have since found more elegant designs to integrate triple cameras. Yes, Apple is working on some useful and much-needed upgrades for its new iPhone. But it is arguable that they merely paint over a larger crack at a time when sales pressures strongly suggest now is not the time for the company to rethink its much-loved minimalist design aesthetic. The iPhone 11 Max will see an increase of around 20 to 25 percent, the regular iPhone 11 between 10 and 15 percent, but the update to the iPhone XR will be a minimal bump of around five percent. The increase in battery size will allow the new iPhones to ‘reverse charge’ Qi-enabled devices, such as the new wireless charging case for the AirPods 2. The extra capacity means that power can be sacrificed to top up peripherals while retaining the same daily endurance of the iPhone. Read my thoughts on Forbes. Is Apple Preparing The iPhone SE 2 For 2020? Apple reportedly plans to launch three OLED-based new iPhone devices in 2020 available in 5.42-, 6.06- and 6.67-inch sizes, respectively, according to sources from Taiwan’s handset component supply chain. But for 2019, Apple will continue to roll out three models following the screen technologies and sizes of the three phones launched in 2018: two OLED models available in 5.8-inch and 6.5-inch screens, and a 6.1-inch LCD model, the sources said. DigiTimes states the model in question will be 5.42-inches – significantly smaller than any current iPhone design Apple produces today and just 0.42-inches larger than the 4-inch iPhone SE. Moreover, with the bezel-less and home button-less designs iPhones now sport, the additional screen size could fit into a chassis only half an inch longer than the 4.87-inch iPhone SE. More speculation here on Forbes. 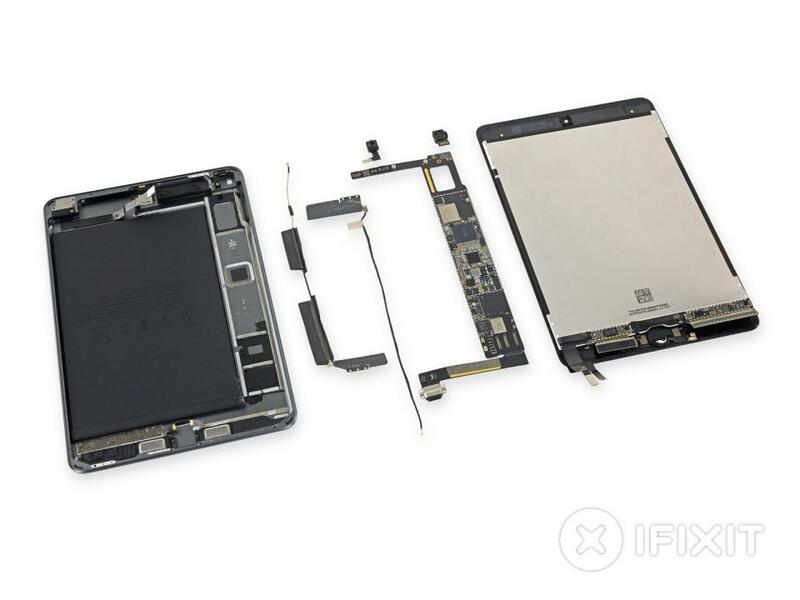 Today, we took apart the iPad Air 3 and found that it’s basically built like an iPad Pro 10.5” on the inside, minus the surround sound and camera bump. These days, the non-Pro iPad lineup is just frankensteined components and designs from other iPads. Too bad all this mishmashing manages to leave out almost all the good stuff. Like modularity. And battery pull-tabs. I took a closer look at the implications of the iPad Mini 5’s teardown. The iPad Mini 5… is just the iPad Mini 4 with some faster chips. And for many, that’s enough. There are advantages to sticking with the old design. The price for the entry-level Mini remains at $399. The updated chipset and increased storage and memory will eat up some of the margin that the iPad Mini 4 offered, but this refresh should be good for a few more years of sales with increasing margins once more thanks to Moore’s Law. I’d also argue that the iPad Mini 4 is not out there to be a fashionable status item. It’s a device favoured by education and enterprise focused customers, or those looking for a more affordable option for a portable device with more flexibility than an iPhone. I sampled the people at Basecamp. Out of the 47 people using MacBooks at the company, a staggering 30% are dealing with keyboard issues right now!! And that’s just the people dealing with current keyboard issues. If you include all the people who used to have issues, but went through a repair or replacement process, the number would be even higher. More at Signal v Noise, and a tip of the hat to John Gruber.